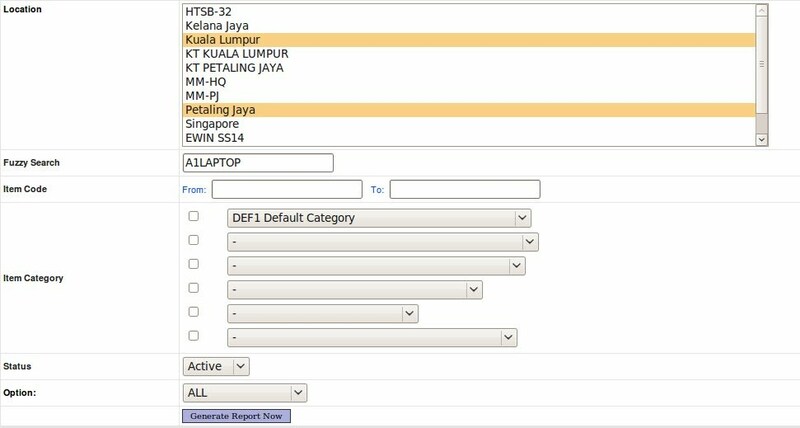 Select which Location the report is generated for. You can select more than one location. Another option is to select item from Item Category. To learn more on Item Category, click on Add Item and Add Category. Select the Status from 'All', 'Active', 'Inactive' and 'Deleted'. The Option is for the user to choose whether to view the item with 'Positive Balances', 'Zero Balances' and 'Negative Balances' in the inventory. User can select 'All' to view all the item. Click on 'Generate Report Now'. The stock balance report will appear at the bottom.